The Internet of Things (IoT) has been gaining quite a bit of attention as of late, most prominently around the home, cars and even wearables. And undoubtedly, this rise of connected devices will soon lend a hand to caregivers, ushering in a new era of data-driven, quantified parenting. Whether you are or have been the parent of a newborn, you know just hard it can be. Infants aren’t able to provide the kind of feedback you might desperately wish for after countless hours of nursing and sleepless nights. Unfortunately, babies can’t tell you exactly how they feel, what they want or why they are upset — other than crying, obviously. As the IoT continues to evolve, we can expect to see a growing number of innovations focused around enhanced safety and convenience for those with children. Developed by Boston startup Rest Devices, the Mimo smart baby onesie monitors the respiration, skin temperature, body position, sleeping and activity levels of infants through an embedded turtle-shaped sensor. This information and audio is relayed to a nearby base station and the cloud in real-time, where it can be viewed on any mobile device and shared between parents and their babysitters. The companion app is available for both Android and iOS. Making a bottle of formula milk isn’t always convenient, and often times, can even be a downright hassle. Luckily, it’s about to get a whole lot easier thanks to Wicoz’s recent Kickstarter project. 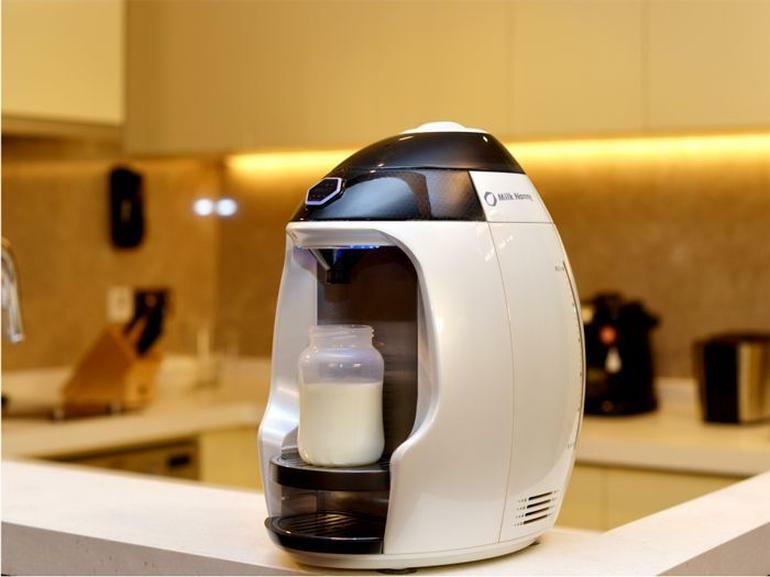 The world’s first fully-automatic smart formula machine makes fresh, warm baby milk in seconds — consistently and precisely — all with the press of a button. More conveniently, it can be controlled right from your phone. Parents simply scan a bar code on the formula container, hit start and the milk is dispensed. Afterwards, its companion app reveals detailed stats focused on feeding habits and trends. Another smart device currently seeking funding on Kickstarter is the Listnr. The gadget has two distinct functions. First, it connects to smart bulbs (like the Philips Hue) and turns the lights on/off by recognizing certain sounds, such as a fingersnap. Second, it can pick up on a baby’s cry and interpret what kind of scream it is. The Listnr’s built-in advanced audio processor can decipher emotions from sounds, ranging from laughs to burbles. Think of it like a Fitbit for babies. 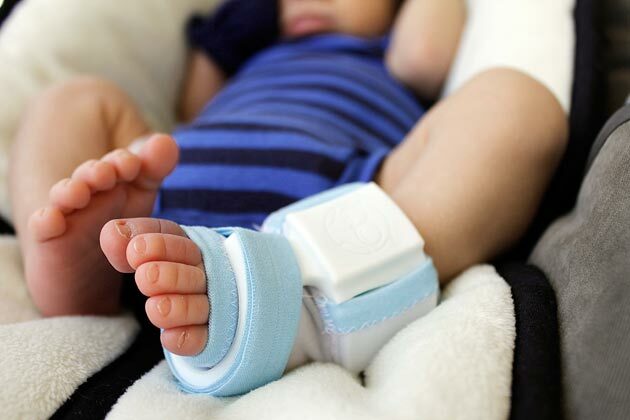 Sproutling’s baby monitor is comprised of three parts: a wearable band, a smart charger and a mobile app. The device gathers 16 different measurements every second to help parents understand things such as when a baby is most likely to wake up, if a baby’s heart rate is higher or lower than usual, and whether it is warmer or cooler than a baby’s ideal room temperature. This allows parents to learn and predict their infant’s sleep habits and optimal bedtime conditions. 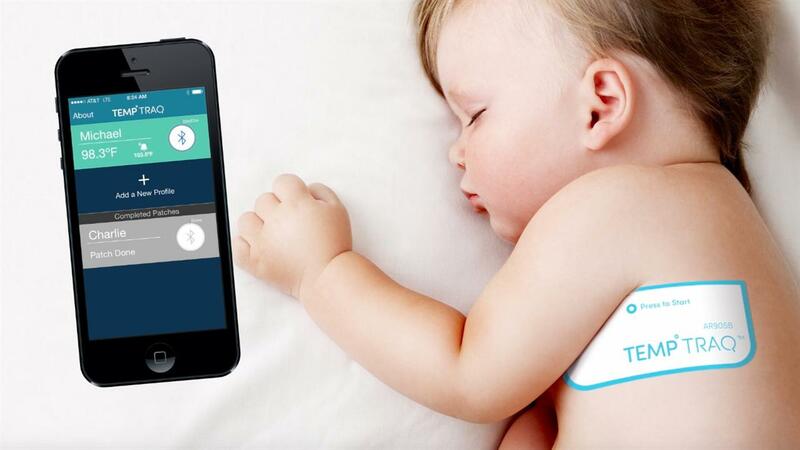 TempTraq is the only 24-hour, Bluetooth-enabled thermometer that continuously senses and records a child’s temperature in the form of a soft patch. That comfortable wearable then sends real-time information to a caregiver’s mobile device. 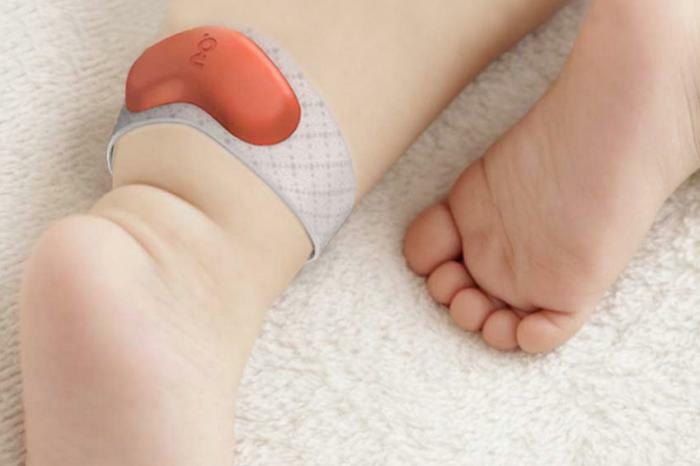 Having first gained popularity through TechCrunch’s Hardware Battlefield back in 2014, the Owlet Baby Monitor is an ankle-worn tracking device that analyzes a sleeping infant’s oxygen levels and heart rate alerting parents of potential problems. 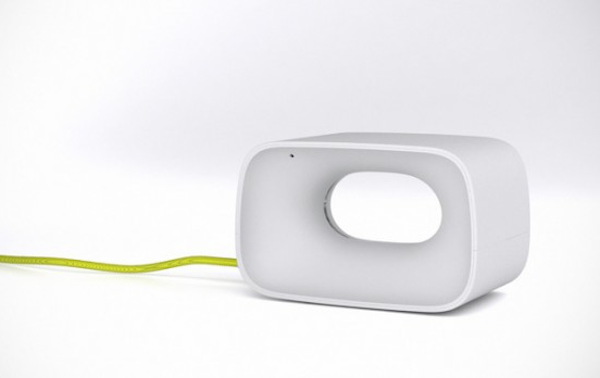 The smart sock transmits the information its recording to a smartphone app via Bluetooth 4.0. If you don’t have a smartphone, parents can simply plug it in via USB to see metrics on a PC or connect to your home Wi-Fi network to see readouts on any connected device. Another startup on the list originating in Boston is Sensible Baby. The product is hoping to alleviate anxieties of new parents by using a sensor to monitor a newborn’s breathing, movement and temperature. 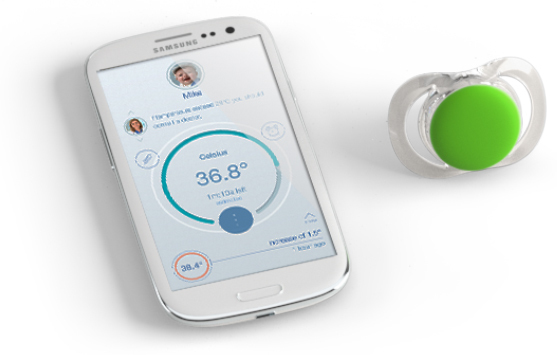 The sensor, which is called SmartOne, is inserted into a onesie and syncs with a mobile app to notify the parent of any changes. Meanwhile, users can customize the type of alert for the sleeping environment and developmental stage of their baby. Successfully funded last year on Kickstarter, MonBaby is a small wireless device that snaps onto any article of a child’s clothing, just like a button. It tracks a baby’s breathing rate, movement level and sleep position, transmitting vital signs and important alerts directly to your smartphone in order to improve sleep for all. 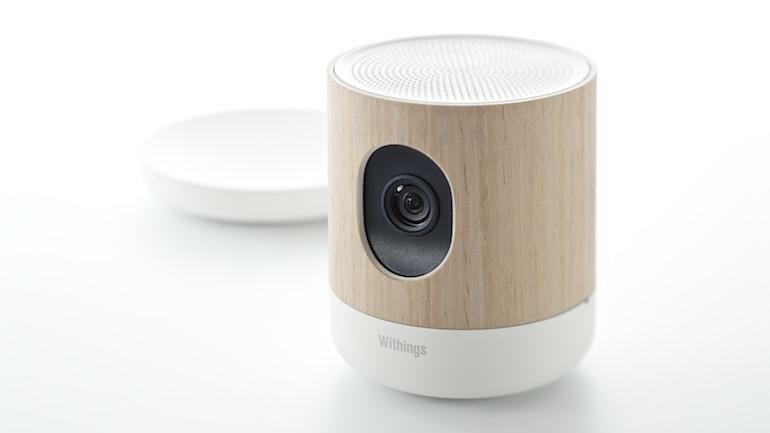 This Wi-Fi-enabled baby monitoring system lets parents keep an eye on their little one through HD video and audio using their smart device or computer. What’s more, Smart Care is also equipped with a built-in room temperature sensor, a remote-controlled night-light and the ability to play soothing MP3s to a child via a built-in speaker. Created by Blue Maestro, Pacif-i is the world’s first smart pacifier that detects a baby’s temperature and transmits the data to an app on a parent’s iOS or Android device over Bluetooth Smart. 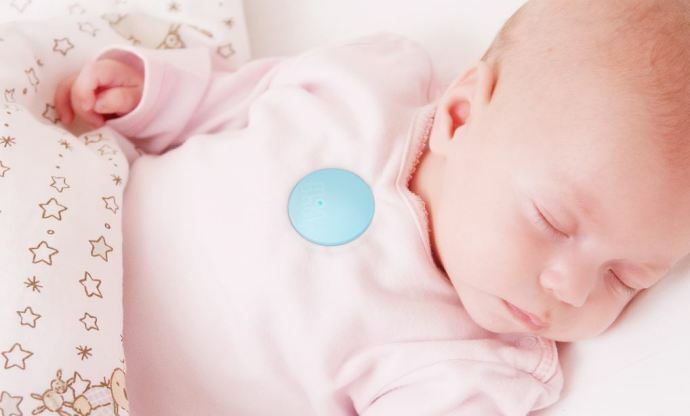 Pacif-i also features a built-in proximity sensor that provides parents with the ability to track the pacifier’s location and be notified if their child wanders off. Within the app, parents can set the distance (up to a range of 65 feet) for the alarm to be triggered when this pre-defined zone is breached. The pacifier also features a buzzer alarm that can be activated via the smartphone when it has been misplaced or hidden by a toddler. Designed for personal aquatic safety, iSwimband is a portable and effective anti-drowning system that works in pools, lakes and rivers to ensure child water safety. The device is worn as either a headband or wristband and uses a built-in sensor to detect when it has been submerged for a user-defined length of time. If that threshold is reached, it sends an alert to a companion iOS app via Bluetooth up to 100-feet away. Researchers at the University of Tokyo have designed a super-thin sensor that can go inside diapers to inform caretakers when it’s time for a change. 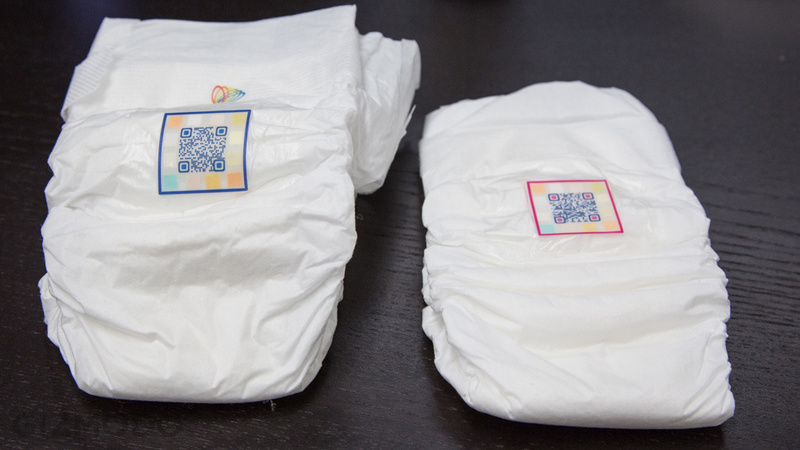 In addition, these Smart Diapers allow parents to simply and unobtrusively screen for UTIs, dehydration or developing kidney problems. Everything is becoming increasingly connected, after all. Your clothes, your appliances, your cars… and soon, your offspring. It looks like we’re well on our way to taking ’baby’ steps towards the parenting world of tomorrow!